This is the first WWE house show I've been to in a while. I've been to several Raw and PPV shows and I must admit the set is very amateur-looking. Not much to it. No ramp, no large screen, only an illuminated "X" and two large-screen TVs by the entrance. They announced Smackdown in Biloxi on February 19. A.J. came out to start the show and welcomed everyone. She asked if everyone was ready to start the show, which prompted a "Yes!" chant. She walked out and Brodus Clay's music hit. Brodus grabbed the mic and said thanks to Damien Sandow, he is unable to dance and shouldn't be wrestling, but he will wrestle anyway. Sandow then came out to much heat and talked down to the crowd. His gimmick is really working. (1) Brodus Clay beat Damien Sandow. Clay won after a decent back and forth match with the big splash. Tensai attacked Brodus as he was walking back and beat him down. He then counted ten and said if the 400-pound Brodus Clay can't get up, then John Cena doesn't stand a chance. He said he will beat Cena so bad that he won't make it to Summerslam. (2) Alex Riley beat Curt Hawkins. Riley won with a spinning neckbreaker in a rather long match. The crowd loved A-Ry. A Dolph Ziggler video aired promoting his match against Sin Cara later. (3) Divas champion Layla beat Aksana with a high kick. Not much to it. 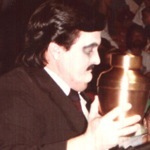 Paul Bearer was then introduced. (I think he does a wrestling school in the New Orleans area and is from Mobile.) He was introduced to give insight into Triple H and Brock Lesnar. As he started talking, Heath Slater's music hit. He said all the Legends on Raw have been trying to steal his spotlight just like he is tonight. Slater says he knows he can beat Bearer. Paul says he's not a wrestler, but he knows someone who can take his place. Enter Ryback. (4) Ryback beat Heath Slater. Very entertaining match thanks to Slater. The kids seemed to like Ryback, but not much more. (5) IC champion The Miz beat Christian in a Biloxi Street Fight. Miz won after ramming Christian into an exposed turnbuckle with a roll-up. Very good match that the fans were not into. Very quiet crowd. The turnbuckle and a Kendo stick were the only weapons befitting of a Street Fight. Afterward, Christian speared Miz during his celebration. (6) The Usos beat Johnny Curtis & Michael McGillicutty. The match went too long and the crowd was not into this one, either. (7) Sin Cara beat Dolph Ziggler. Cara won after Ziggler went for a powerbomb that he countered into a roll-up. The crowd loved Cara and it really helped to have Ziggler bumping for him. (8) John Cena beat Tensai in a Last Man Standing match. Cena delivered the AA through a table for the win. Biggest Pop: Cena, Sin Cara. Most Heat: Vickie Guerrero, Damien Sandow. Very small crowd tonight. Only about 50 percent full.